Here at Israellycool we’ve long been fierce critics of the many, many Boycotts, Divestments and Sanctions (BDS) campaigns that have sprung up in recent years to intimidate and harass honest companies and people. We often poke fun at their antics, especially when it involves talentless flash mobs. But now we are presenting the 2012, Israellycool BUYCOTT list. 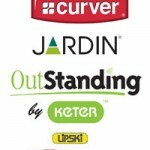 Go out and BUY the products and services of the companies you find listed here! 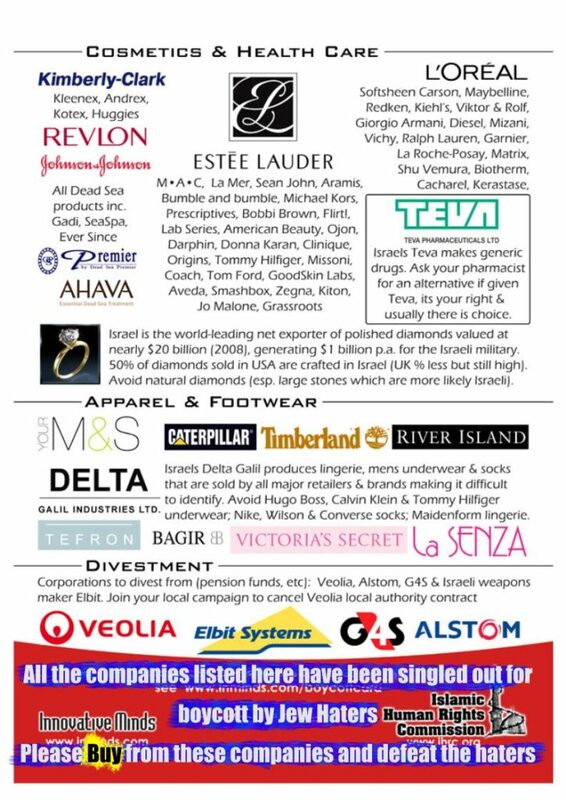 As you can see this carefully prepared graphic contains an up to date list of many companies that do business in and with Israel and which we would urge you to consider supporting. It may just appear that we’ve borrowed the design and layout from some Jew hating BDS clowns in the UK and you’d be completely correct! This leaflet was produced in conjunction with the revolting “Islamic Human Rights Commission” who each year organise the terrorist supporting Al Quds march in London and supply the handy “We are all Hamas” or “We are all Hezbollah” posters. If you would like copies of the card for local distribution ( in your community, solidarity group, Mosque or for your Palestine stall) please contact us. 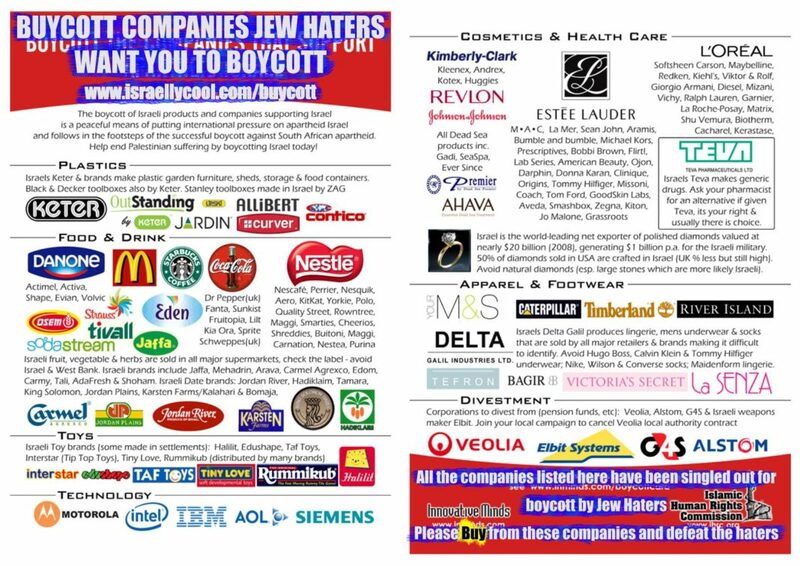 We also have A4 poster size Boycott Israel cards to put up on Mosque notice boards, etc. Please ask for these if required. The cards will be sent free of charge. The first print run ran out before leaving the printers and the next print run of 100,000 has also nearly run out (18 Jan 2012), if you require cards please do let us know asap. But we would encourage our readers to link to us, mail this page on and generally help support the companies listed here. Perhaps we should ask you to stick it up in a prominent place in your synagogue but that might be a bit forward of us. We wouldn’t want anyone to think this was a religious battle. 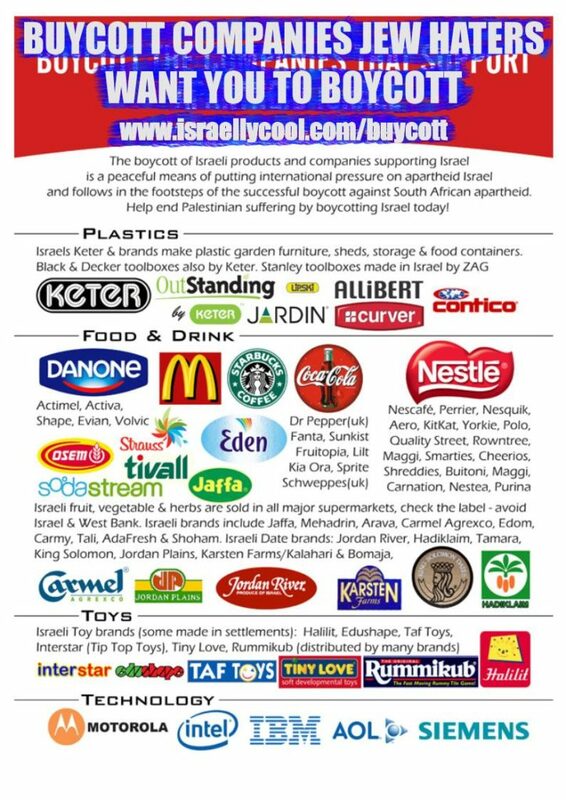 Also notice that many of the companies, like Starbucks, which failed commercially in Israel, don’t operate in Israel and their only real reason for being on the list is because some part may be owned by Jews. OK, the haters will dress it up and say they are “Zionists” but as we all know anti-Zionism is just the new, disguised form of Jew hatred for the modern fascist about town. A short note on the copyright of company logos: what the InMinds and Islamic Human Rights Council have done in using all these logos (without permission of course) is actionable in law. Therefore we at Israellycool fully commit to cease and desist from our re-use of these logos if the companies request and as soon as InMinds and IHRC have taken them down too. Link to all Israellycool Buycott related posts. What Did Jew Company Keter Do Wrong?